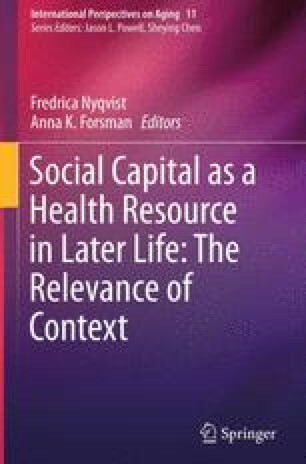 This chapter considers the nature of the association between social participation and self-perceived health among older European adults. We examined the effect of the various combinations of participation in voluntary activities on older people’s self-rated health using SHARE data over the period 2004–2011 for 18 European countries and Israel. We found, on the whole, that taking part in social activities within the framework of voluntary organisations was indeed associated with a lower relative risk of reporting having had fair to poor health. At the same time, however, we found that participation in different forms of activities yielded unequal relationships with the health outcome. That is, not every activity or combination of activities contributed to health to the same degree. Exploring the drivers of heterogeneity in the relationship between health and volunteering in more depth, we found that the more activities older people get involved in, the better it is for their health, regardless of the types of activity.